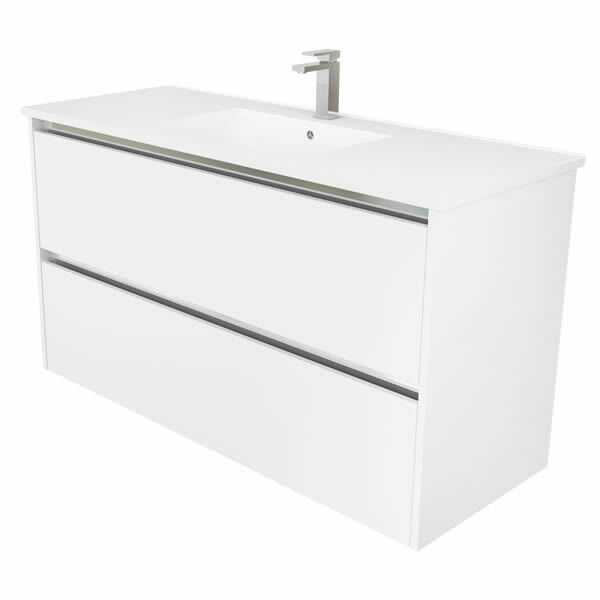 Transform your dull bathroom into an ultra-modern space with the gorgeous Asha Vanity Unit. 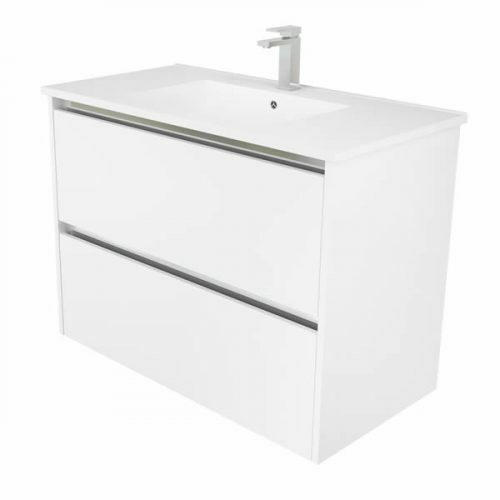 It sports a brilliant design with a white and aluminium finish and can be installed as a wall hung vanity. The Asha Vanity Unit measures 460x665mm in depth and height. It is available in three width variants of 1,200mm, 900mm and 750mm to suit bathrooms of all sizes. 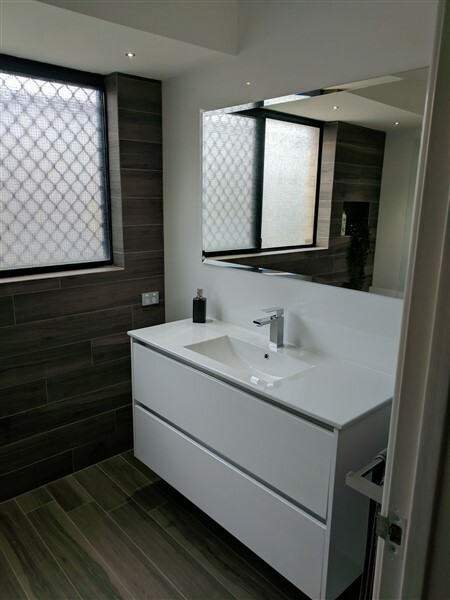 This bathroom vanity is all about great looks and a highly functional design. 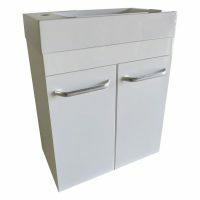 It comes equipped with two large drawers which feature a soft closing, finger pull mechanism. The surface features a high-quality UV resistant 2-pack finish for added durability. 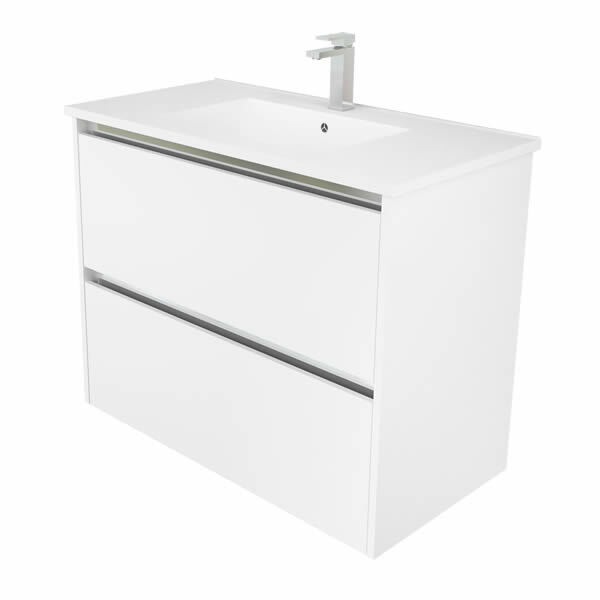 The Asha Vanity Unit is a superior grade product and is manufactured to the best of standards. It is made from eco-friendly E1 MDF board while the back is made out of solid 16mm board. 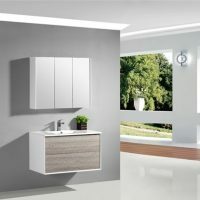 This bathroom vanity is reliable, sturdy and incredibly durable. 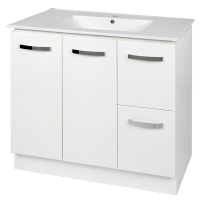 As a mark of quality, the Asha Vanity Unit is backed by a 5-year warranty. Rest assure it will easily offer you many years of service, even with rigorous daily usage. So, what are you waiting for? 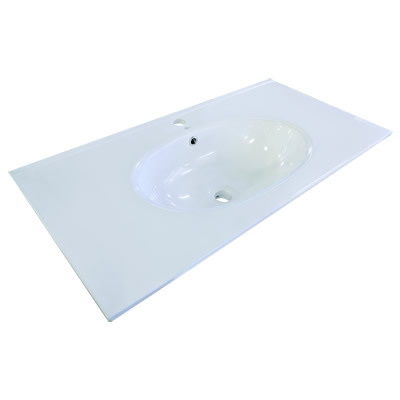 For quality bathroom basins in Perth, you will do no better than the Asha Vanity Unit. Purchase the Asha Vanity Unit from our online store and transform your bathroom into ultra-modern space! 20mm thick fully vitrified china with build in overflow. VT – Standard Square Bowl – 1 and 3 tapholes available. VTF – Fiona Round Bowl – 1 taphole available. 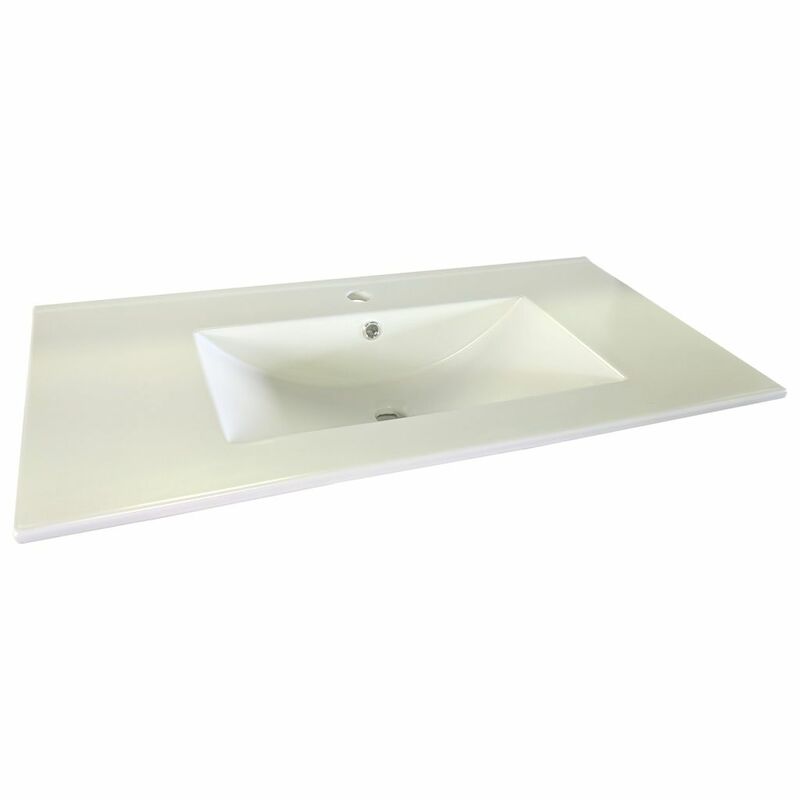 VT – Standard Square Bowl Matt white – 1 taphole available. 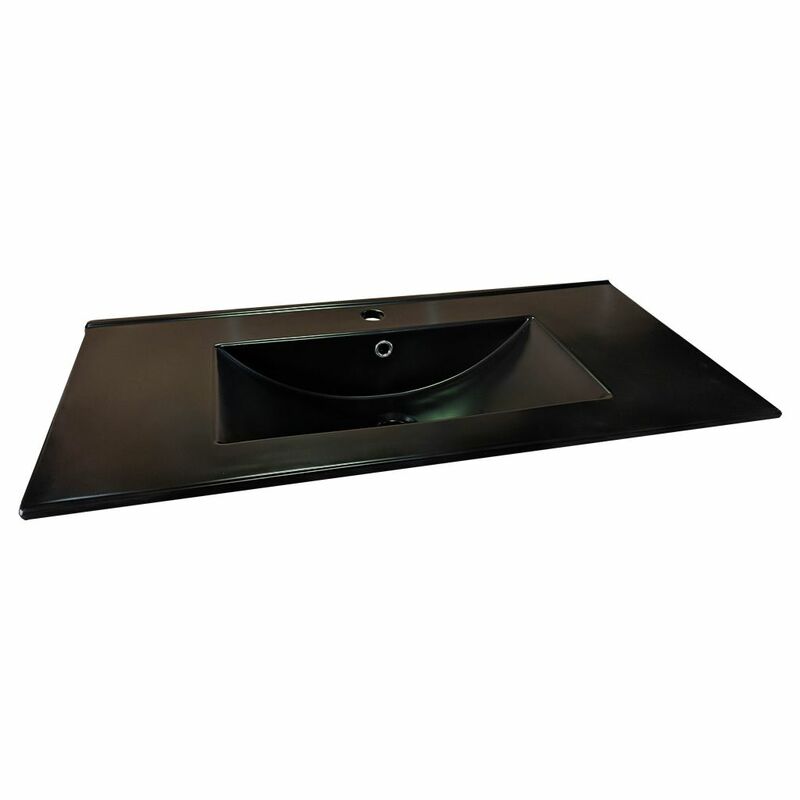 VT – Standard Square Bowl Matt black – 1 taphole available.